The Symposium will build the leadership capacity of the Latino Community. Latinos are at the Crossroads of Power. By training, connecting and aligning a critica mass of leaders, Latinos will actualize their potential and contributions. See the amazing list of featured speakers & presenters! Registration includes opening dinner and reception, all breakfasts and lunches, community receptions, music, dance, and celebrations! For more information contact info@lideramos.org. Join us at the Hilton Garden Inn by the beautiful trails of Cherry Creek. Special rate of $129. First ten registrations will get a panoramic view of Rocky Mountains. Reserve Your Room Today. 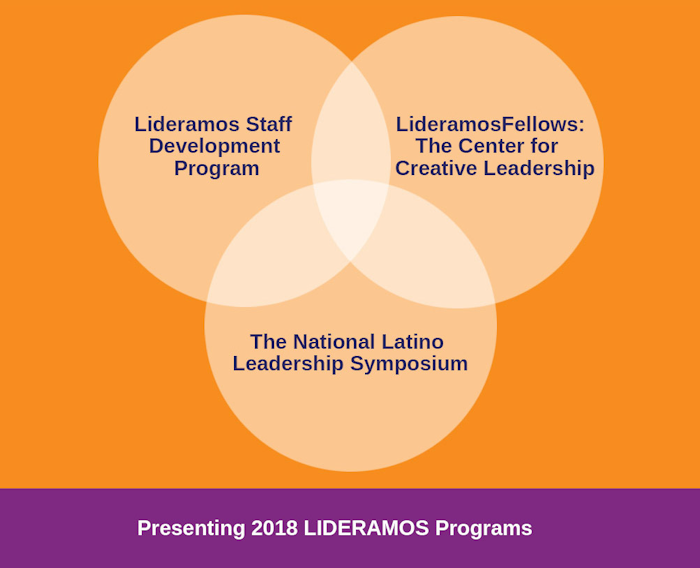 Through a partnership with the prestigious Center for Creative Leadership (CCL), LIDERAMOS will offer ten Fellowships to Latino Leadership Program directors and staff each year. Each Fellow attends the one week Leadership Development Program at CCL which is a premiere corporate training organization. Second, Fellows prepare a report on lessons learned and how mainstream and corporate leadership can enhance community programs. Fellows would then come together virtually to share experiences and integrate information. A workshop on the benefits and practical application for leadership programs would be presented by the Fellows at the Annual Symposium. The LSDP assist staffs who work in Latino Leadership Programs improve their organization and enhance their personal leadership skills. 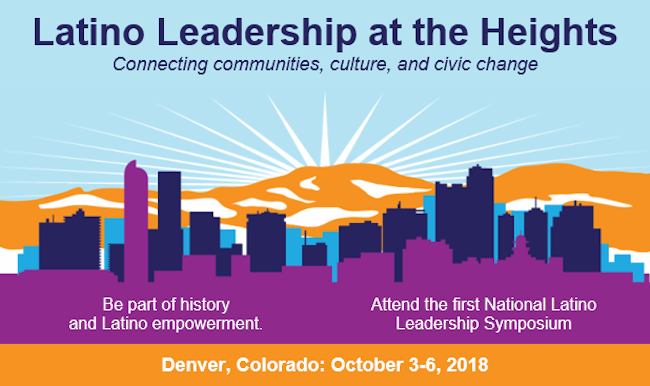 The goal is to provide models that include assessments, coaching, and unique aspects of Latino and mainstream leadership that can be replicated and utilized in leadership programs.